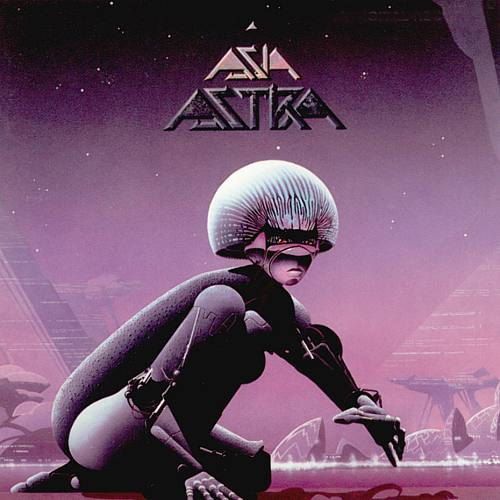 Astra was the third studio album released by Asia. John Wetton had returned to the line-up, but Steve Howe soon left due to tensions with Wetton. He later enjoyed some success with Steve Hackett in GTR. Howe was replaced by Mandy Meyer (Krokus). Many consider Astra to be the worst album released during the Wetton-era of Asia, and I'm inclined to agree with that. It seemed Asia had run out of steam, having few ideas that seemed worthwhile. As expected, public interest waned considerably. Musically Astra was about as similar to Alpha and their eponymous debut. Meyer seemed an adequate replacement although his performance seemed to take more of a backing role (like Howe's seemed to on Alpha). Still, Asia sounded harder because of the addition. Lyrically Astra was a different animal. Unlike the countless songs about love on the previous two Asia albums, Astra had less of that and more in the political and war themes. However, at best the lyrics seemed uninspired and maybe even a little childish. Again, Astra is another album in the AOR genre, showing only minimal signs of progressive leanings or tendencies. That's basically what it boils down to. Although Astra is a nice album, it just isn't worth your time if your looking for prog rock or something slightly resembling it. Only for Asia fans and collectors. Two stars.